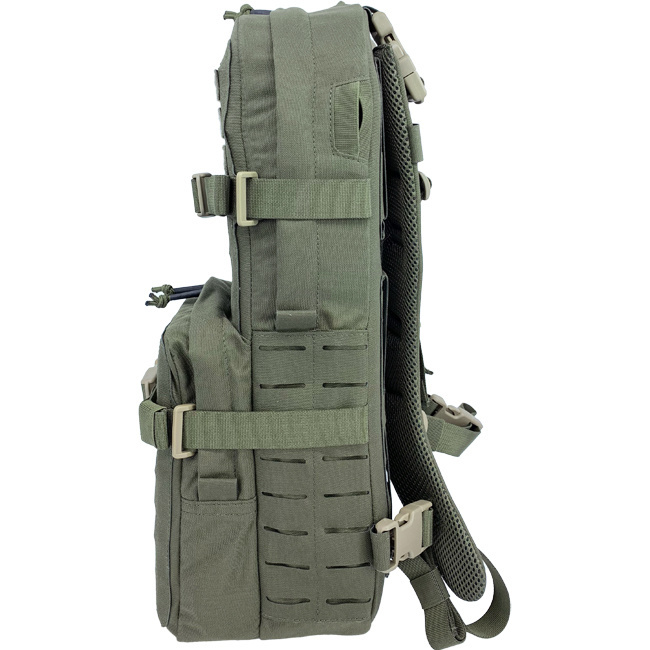 The Medium Cargo & Hydration Pack can be worn stand-alone or MOLLE mounted onto a Plate Carrier. 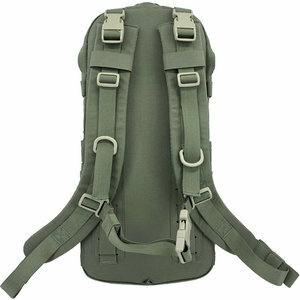 The shoulder straps are cushioned with spacer mesh and foam inside. They are length adjustable and the stay in place thanks to a height-adjustable sternum strap. 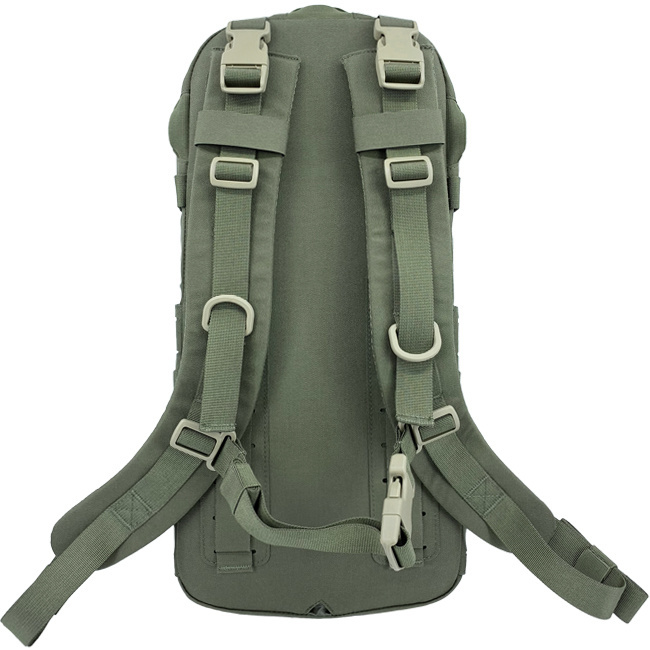 The backpack always stays in shape thanks to a built-in stiffener in the back panel. If preferred, the stiffener can also be removed through an opening inside the main compartment. 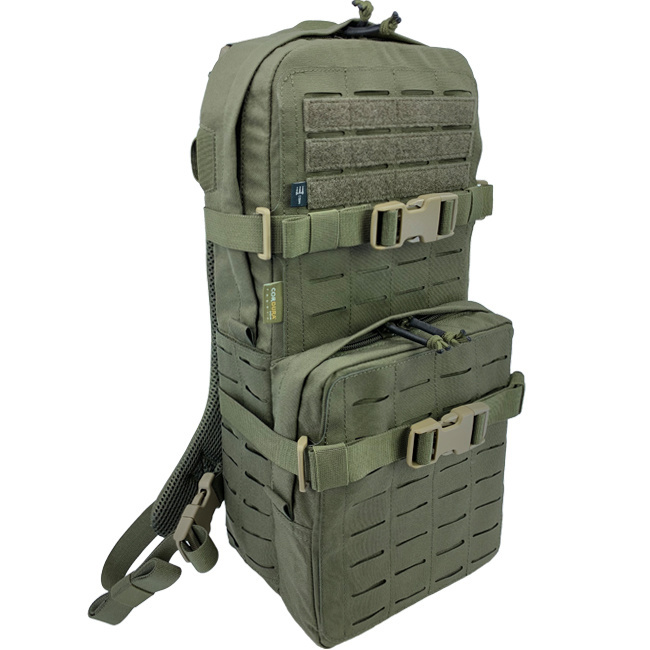 Covered with a LaserCut laminate surface on three sides as well as Velcro areas for ID and moral patches, it features a long and smart compartment on each side that can hold antennas, cables, long magazines or any other tool that is needed to be at hand . 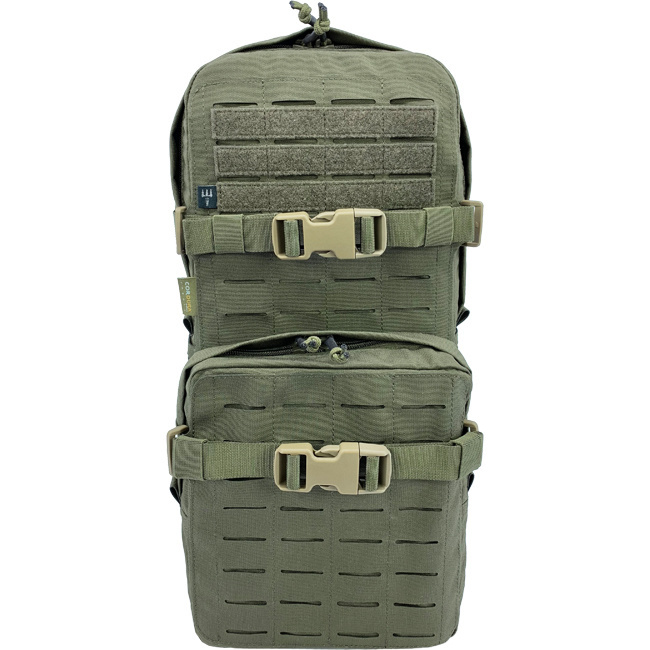 The compartments are then covered with LaserCut surfaces to attach more MOLLE based pouches. 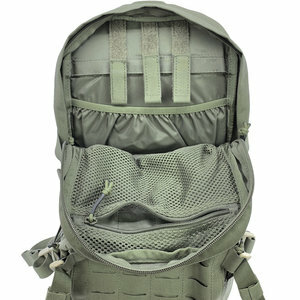 The front compartment opens with a two-way YKK zipper equipped with shrink-tube covered zipper pulls for a better grip. 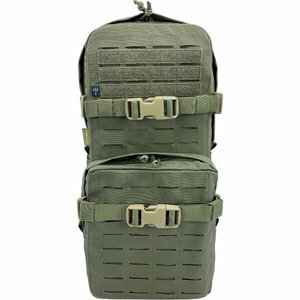 It contains several pouches inside to hold equipment and has a total volume of 2.3 liters. The main compartment, also equipped with the same two-way YKK zipper and shrink tube covered zipper pulls, features a zippered net pouch inside as well as a dedicated stowage for a 1.5l hydration reservoir. The tube of the hydration system can be routed through three ports, one on each side. 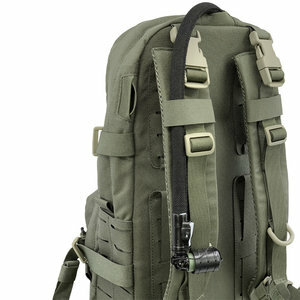 The volume of the main compartment is 6.5 liters which totals an overall backpack volume of 8.8 liters. If the capacity is not completely used, two compression straps ensure that the load is the place in the maximum volume needed.